The value-based healthcare agenda is a must do for healthcare IT executives. It all started in 2006 when Michael E. Porter and Elisabeth Olmsted Teisberg wrote the defining book for value-based healthcare: “Redefining healthcare, Creating value-based competition on Results”. The two authors argue that the healthcare business model is broken and too costly. Mainly because of wrong incentives and an overall focus on volume instead of value. With better disease control, treatment and medicine – chronically ill patients, for example, live longer, thus putting the healthcare sector in a stress position. Healthcare decision-makers have focused on shifting costs and increasing volumes for too long. Instead, they should focus on creating value for patients, the authors argue. That creates a burning platform in the healthcare sector because it is getting too expensive. The urgency to change is mounting. One of the answers is value or quality-based healthcare. Value-based healthcare has been sweeping across Europe ever since the book was published. CIOs in the healthcare sector(s) and IT Vendors must support that tendency and design digital solutions according to the new agenda. Most of the hospitals in Europe are partly financed by their ability to generate volume. The more patients each hospital treat the more money it is getting either from the state or from the region. The problem with a volume-based healthcare sector is of course that quality is reduced to a nonexistent parameter or even worse – it is viewed as equal to volume and low cost. The answer is value-based healthcare, but it is a lot more difficult to measure and more importantly to settle financially. That is among other, a problem IT must help solve! For the transformation from volume-based healthcare to value-based healthcare, a lot of areas within the whole healthcare sector must change significantly. Budgeting must change. Each hospital department should get its funding based on quality instead of volume and that will have a significant impact. Funding must follow the patient flows instead of each silo-based department. Patients today are rarely treated only by one department; they are treated along a pathway that involves multiple hospital departments, their GP, local government social care units and other healthcare providers across the patient ecosystem. So funding must focus on the patients integrated processes between departments and sectors. In that way, a quality and value agenda will push integrated care in a direction, where it will generate more quality for the patient and at the same time higher productivity for the healthcare sector. Integrated care is not just a nice to have for hospitals in a quality based world– it will be a prerequisite for a well-driven healthcare sector of tomorrow. In order to achieve the above, the market needs new digital tools to measure the quality delivered. It could be by measuring the quality of the processes the patients are being put through. The electronic healthcare journal must in the near future be able to map the desired processes, deliver decision support for the clinicians, and help middle and top management with status and statistics on how well the quality is delivered in real time. The vendor community must understand how true efficiency, true quality and true integrated care can be mapped, achieved and especially measured, in order to help the healthcare sector through the transformation, instead of focusing on features and functions to register data in clinical and operational systems. On September 21st, IDC Health Insights is hosting Executive Healthcare Forum 2016 – Advancing in the Digital transformation of UKs Healthcare. With a clear focus on Digital transformation and how that can drive more value into the healthcare sector, IDC is bringing key stakeholders together to inspire and learn from each other. 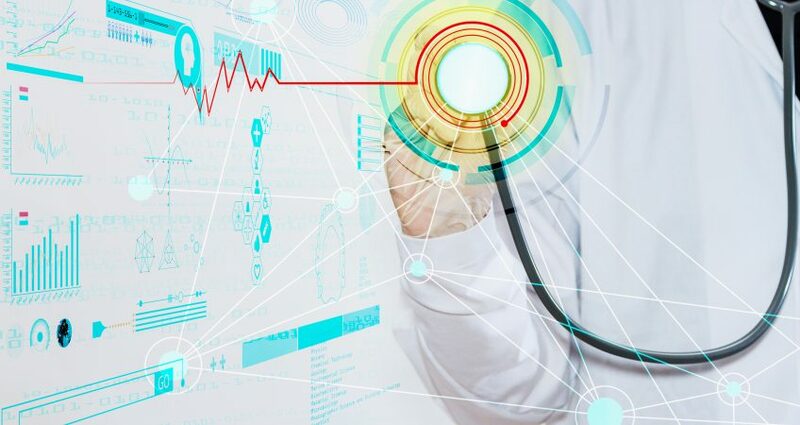 Patient information as the connective tissue of the new personalized and integrated healthcare ecosystem. Reducing health inequalities through new digitally enabled care ecosystems, telehealth and telecare, and how to use them right? We look forward to seeing you on September 21st in London. For more information about this event, or Health Insights, please contact Jonas Knudsen.